COMMEMORATIVE PRESENTATION IN KODIAK: BE PREPARED! June 6, 2012 represents the 100th anniversary of the Katmai eruption that devastated communities on the Alutiiq peninsula and Kodiak Island. To commemorate this event, Duane Dvorak from the Kodiak Island Borough Community Development Department will host a discussion about disaster preparedness. 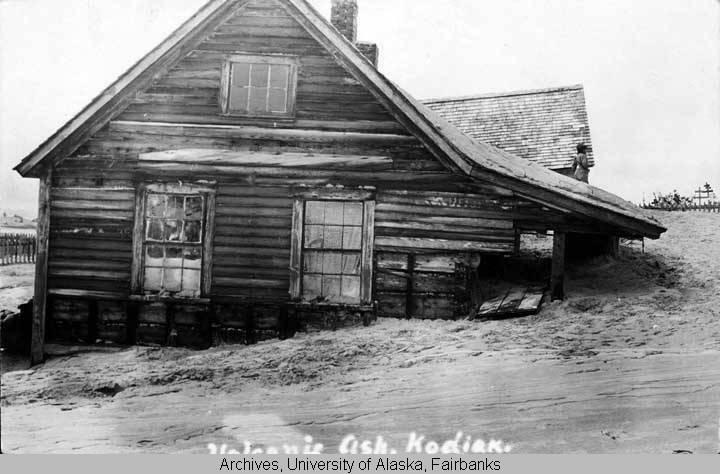 Marnie Leist, Alutiiq Museum registrar will open the presentation with some insights on disasters in Kodiakâ€™s past and information on the museumâ€™s disaster planning. Earthquakes, tsunamis and volcanic eruptions have impacted the Islandâ€™s societies from millennia and will occur again. Find out what you and your family can do if disaster strikes! Please see the Alutiiq Museum for more information.